Gjakova is a very beautiful place in southeastern Kosovo. It is situated 365 m high above the sea level and is a must to visit place including center and villages around. 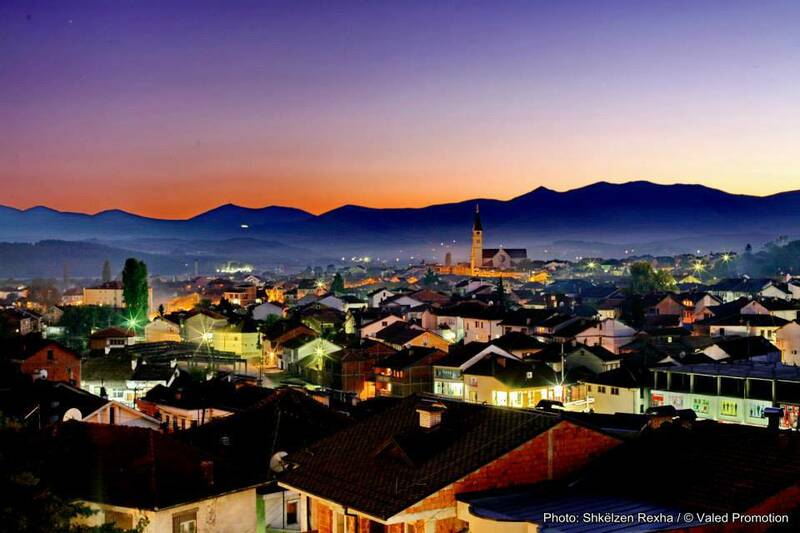 Gjakova Municipality, the main town and its 84 villages, cover an area of 512 km2. Approximately 150.000 people live in this municipality, 90.000 in town and around 60.000 in villages. It has a peculiar climate with rainfalls during the winter and dryness during the summer. Grand Bazaar of Gjakova arose with the appearance of the first craftsmen and the artisan processing produce; it arose then when Gjakova obtained the kasaba (small town) status, when in 1003 H (1594/95), Selman Hadim Aga donated some public facilities, which he had built himself to religious institutions the Hadum Mosque, a meytep (elementary religious school), a library, a muvakit-hane, “a building for measuring the time and determining the calendar by means of astrolabic quadrates”, a public bath (hamam), an inn and some shops. For the maintenance of these facilities he asked from sultan to attach to his “vakif” some lands of sultan properties (hases), whose income should be used for the maintenance of the mentioned buildings and for the payment of the staff that would work there. However, the first direct facts about the Grand Bazaar were provided by the Turk travelloguer Evlia Çelebi, who visited Gjakova in 1662 and, it seems, was amazed by the beauty and treasure of the city and of Gjakovar citizens. Among other things, he wrote: “Jakova has two thousand decorated houses located in a vast field. It has two beautiful mosques, mosques without a minaret (“mesjide”), inns covered in lead. It has a beautiful public bath (hamam) that pleases your heart and about three hundred shops with one thousand kinds of crafts. Referring to the impressions the Gjakovars left on him, he continues “Since it has a lovely climate, the inhabitants are good looking and kind”. As it can be seen from the beginnings, there was a great number of shops in the Grand Bazaar, in which almost all kinds of trades were developed aiming at fulfilling all the needs of the population of the region of Gjakova and of export such as those of metal processors, leather processors, textile processors, tinsmiths, saddlers, (shag-makers) white woolen cap-makers, rug-makers etc. The metal processing included some very important trades for that time, such as gunsmiths, silversmith, copper dishes productions, tinsmith etc. In the 18th century the famous gun master Tush the gunsmith was mentioned in Gjakova, who dealt not only with their producing, but also with their decoration. As a master of luxurious guns producing, which at that time were requested without any distinction by all the social classes, he managed to create, in this century, “the people’s school” of this trade, known until today by his name. From the beginning Gjakova was important trade where goods from Malësi (highland) were interchanged with goods from Dukagjini but also with other places where they sell handcrafts and bought salt, sugar, cloths est. Craftsmanship was highly developed and in the name of two most successful ones, Tabakët (leather producer) dhe Terziajt (tailors). 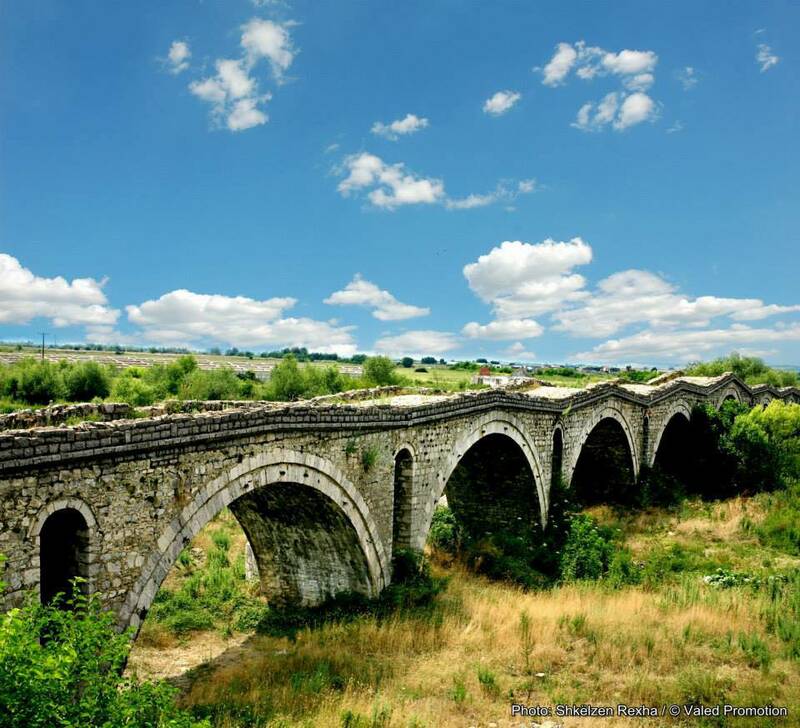 Tabaks’ Bridge over Erenik river, built by Esnaf of Tabaks of Gjakova in 1790, linked Gjakova with Shkodra. It is 127 m long and it has 14 architraves with discharging windows. Many landscapes are carved in it. In one of the architraves of the bridge there is carved a palm with fingers, a small rosette with a sphere in the middle and with a ray in the middle, with a figure in a shape of scissors, a working tool of the craftsman that built the bridge. In the decision for its protection it is stated that it holds historical, sociological, artistic and urban values. It is under protection by law since 1962. Gjakova is easily accessible from other cities, and there are regular means of transport. Bus lines are regular from Prishtina to Gjakova and vice versa, in this 83 km distance and your journey will last approximately 1 ½ h. You can also connect from Prizren and Peja with regular buses, 40 min away each. If you plan to go there by taxi this will cost nearly 50-70 euros including the way back. It’s a walkway that makes your trip dreamy like a fairytale. Roads in the center walk you through the monuments like a guide that makes you feel a good explorer. For passionate walker passing through the villages is also possible and a lot of great sceneries will accompany you. It is worth starting the journey from Grand Bazaar (Çarshia e Madhe) in Ismail Qemali Street. This cordial market with small wooden shops since the XVI century, if not earlier, has been a center of craftsmen and handicraftsmen of different artisans. This market of a great economic value for the city of Gjakova was burnt to the ground during the 1999 war, but afterwards it was rebuilt in the same style and today it has been revived. In the shops of this market you can find today mostly imported goods since the works of local craftsmen are gradually vanishing. However there are still clock shops (?? ), blacksmith, jewelers, etc. in every step of the Grand Bazaar, there are historical monuments each with their own story behind. 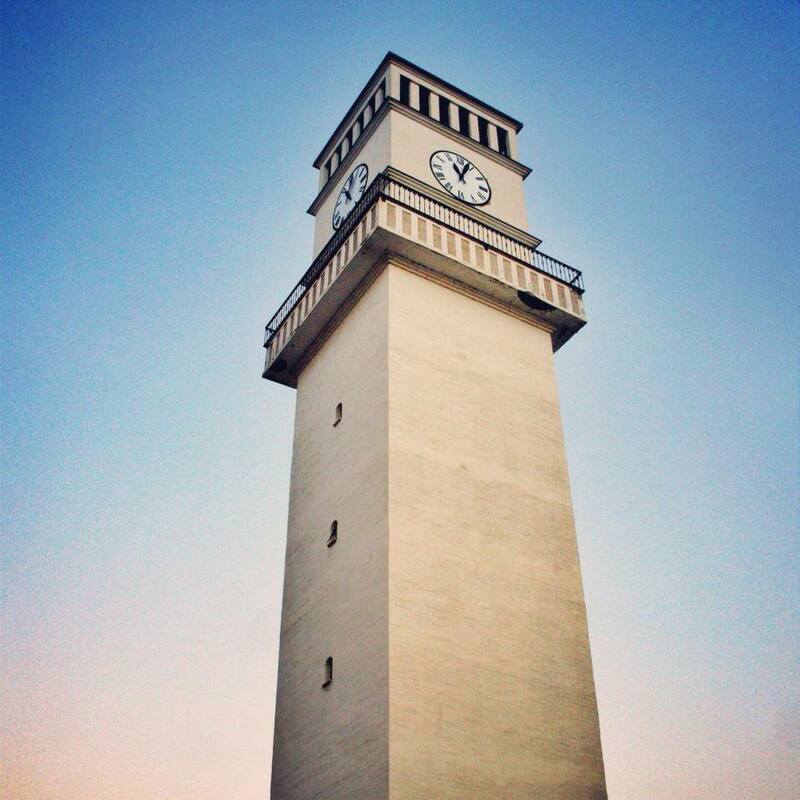 At the top of Grand Bazaar, the Tower of Abdullah Pashë Dreni (Kulla e Abdullah Pashë Drenit) is to be found which also serves as Historical Museum. Close to the Museum is the Tekke of Sheh Emini (Teqja e Sheh Eminit). This Tekke belongs to the sect of Dervish Ra-fai, who has a very distinct ritual whereby in a moment of psychological trance they pierce their body, mainly the face, without feeling any pain. The annual holiday of 21 March of this sect is open for public. Walking through this street, besides monuments of importance one can also taste the traditional local food at Çarshia e Jupave. After tasting the delicious local food you might also see the Big Tekke located in the same street which has a low height and it is somehow spread over a space. The Big Tekke has a branch in Prizren. To complete the pleasant story of this city visit the Ethnographic Museum in Mother Theresa Street built in 1835. The Tower of Tasum Beu built in 18-19 century is found in the same street. In the center of Grand Bazaar there is Hadum Aga Mosque (Xhamija e Hadumeve), the oldest mosque in the city and also one of the first objects built there, in the last decade of XVI century, with which the story of Gjakova begins. Not very far from the Hadum Aga Mosque two old houses are to be found with wooden roofs Hani i Vjetër and Hani i Haraqisë (The Old Inn and Haraçia Inn). Built in 17-18 centuries they served is Inns for tradesmen. Besides being beautiful they are worth visiting also for the good food and other services they offer. Close to Han there is Tekke e Bektashive (Bektashi Tekke). At the end of bazaar in Ismail Qemali Street there is The Mullah Isufi Mosque (Xhamia e Mulla Isufit). Close to this mosque there is also Saint Paul’s and Peter’s church (Kisha e Shën Palit dhe Pjetrit) as well as The Tabak Bridge (Ura e Tabakve) through which the river Ereniku passes. In Çabrati Street it is worth visiting two old houses, the house of Beqir Haxhibeqiri and that of Mazllom Zherka, distinguished by wooden decorations and interior.